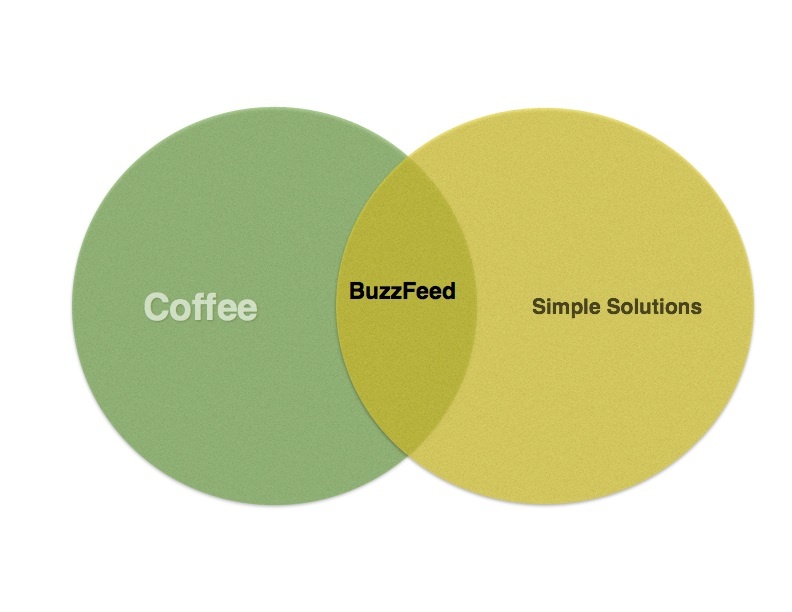 I like coffee, and I like simple solutions to problems. Well, the good folks at BuzzFeed just made my day with this video. It made my day so much that I had to make a Venn Diagram to illustrate how good it made me feel. Hope you enjoy some of the solutions to common problems.